Our Clean and Fresh 250 thread count waterproof mattress pad by Perfect fit is head and shoulders above other waterproof pads available elsewhere. 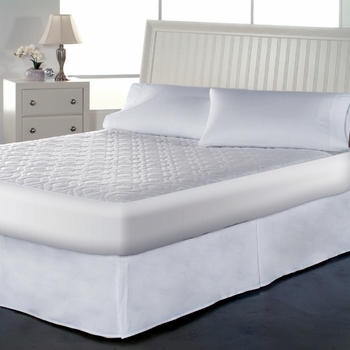 This luxurious mattress pad is loaded with all the latest technological features found only in the highest quality bedding products. "SIMPLY THE BEST PAD AVAILABLE ANYWHERE"